Ever wonder what to do with that baguette you never finished that is starting to go stale? 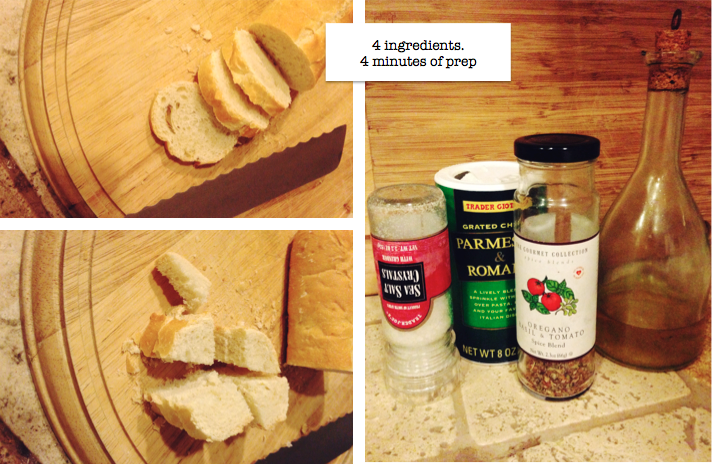 With four ingredients aside from your bread and less than four minutes of prep AND cooking time, homemade croutons are absolutely a practical way to save some dinero on store bought croutons. All you need is a sauce pan, a baguette (truly any baked bread will do), olive oil, parmesan cheese, sea salt and the herbs of your choice (my preference…you can’t go wrong with an oregano blend). Step 1: Slice down your bread into bite size pieces. Step 2: Toss the bread into a sauce pan heated to a medium heat. Step 3: Drizzle the olive oil over the bread. And don’t skimp on the olive oil! 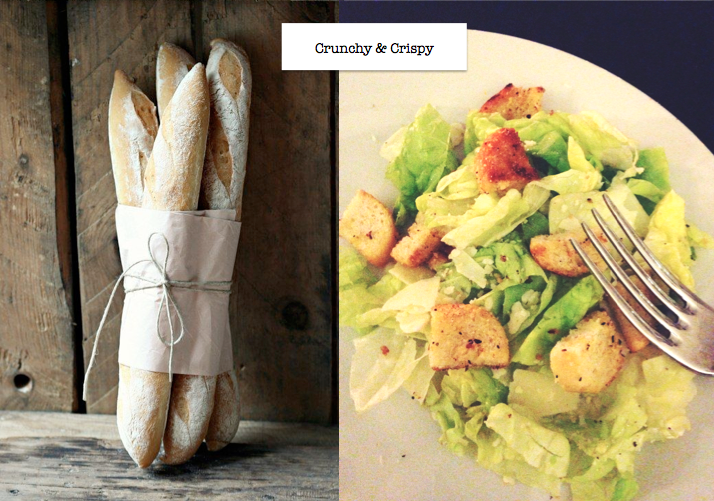 This is what will make your croutons crunchy and delicious. Step 4: Add your herbs, cheese and salt to the sauce pan. A pinch of each should do ya. 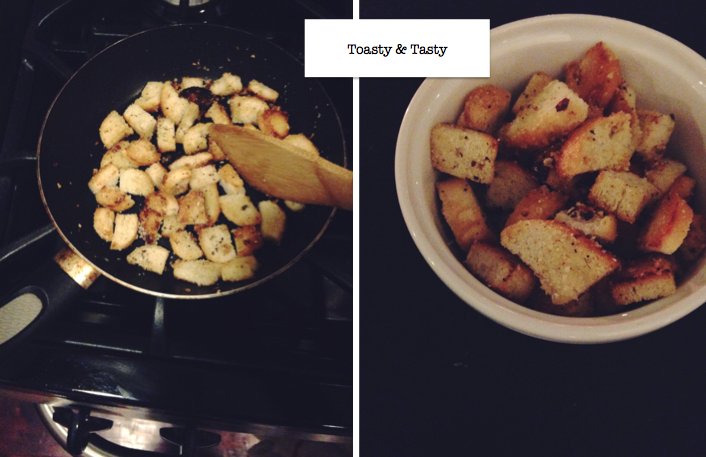 Step 5: Toss your toasting bread around until your croutons start to brown – approx. 3 minutes. Step 6: Enjoy your crispy creation! Play around with the herbs you use each time and find the perfect blend for you! There is no wrong way to make these bad boys!